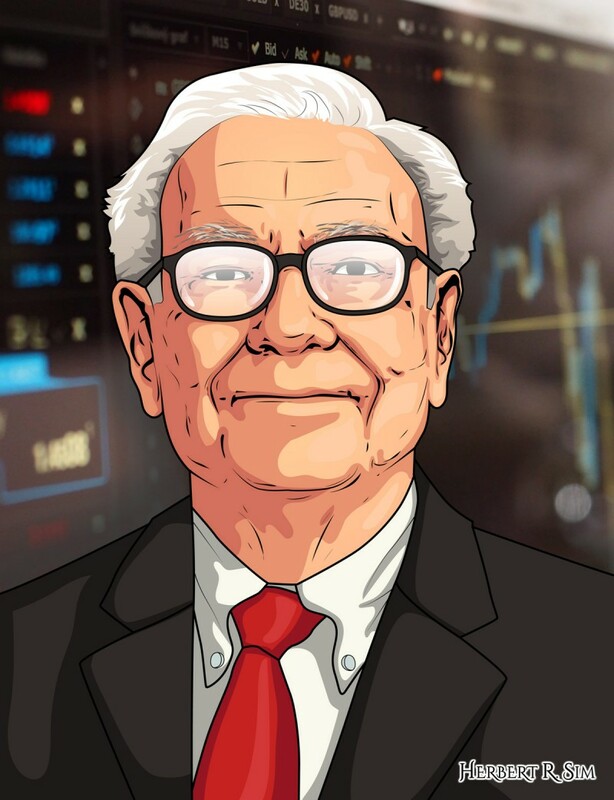 Referencing a few portrait profile shots of Warren Buffett via google, I produced the above digital illustration sketch. He is a well-known philanthropist who has given away tens of billions of dollars to charitable foundations. 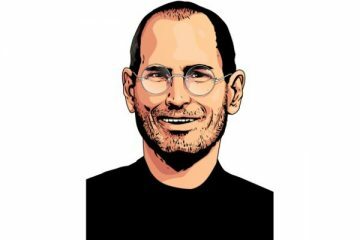 He is one of the most influential and successful investors in the world. 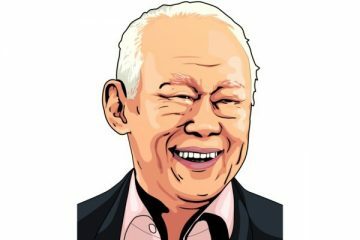 He is the billionaire every investor looks to for inspiration. He is the “Oracle of Omaha”. 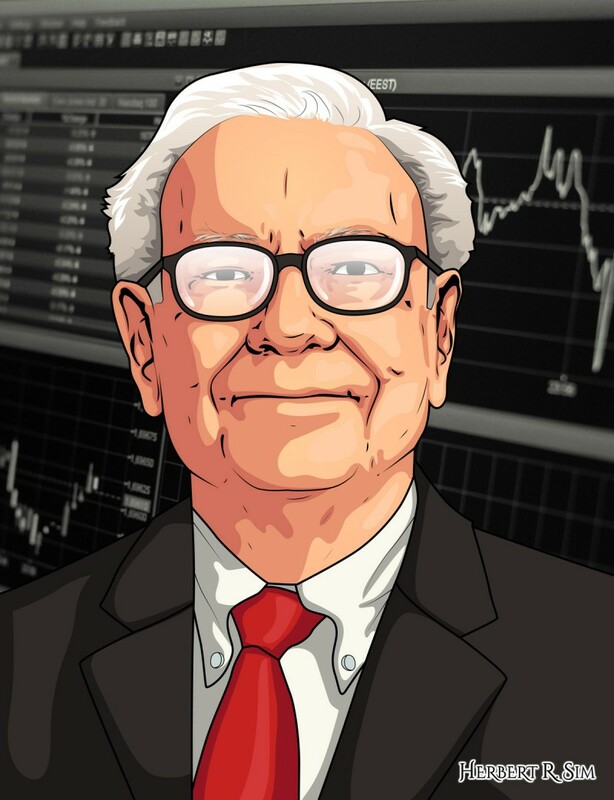 I’m may not an expert on finances, but I dare say that Warren Buffett’s investment philosophies have stood the test of time and have been imitated by many others in their search for increased financial independence. I am impressed by Mr. Buffett’s discipline and persistence when sticking to his investment strategy. Were there failures in his career? Certainly. However, his successes clearly exceed any failures. Buffett developed a strategy, stuck with it, and does to this day. Many of his investment principles are not difficult to grasp. Buy good companies at great prices. These companies must generate cash flow. Companies should have a wide moat, making the cost of entry difficult for other companies. He has an inner scorecard: what he thinks about himself is what directs his actions, rather than what others think. I think this trait is fundamental in explaining the qualities that most people admire him for. 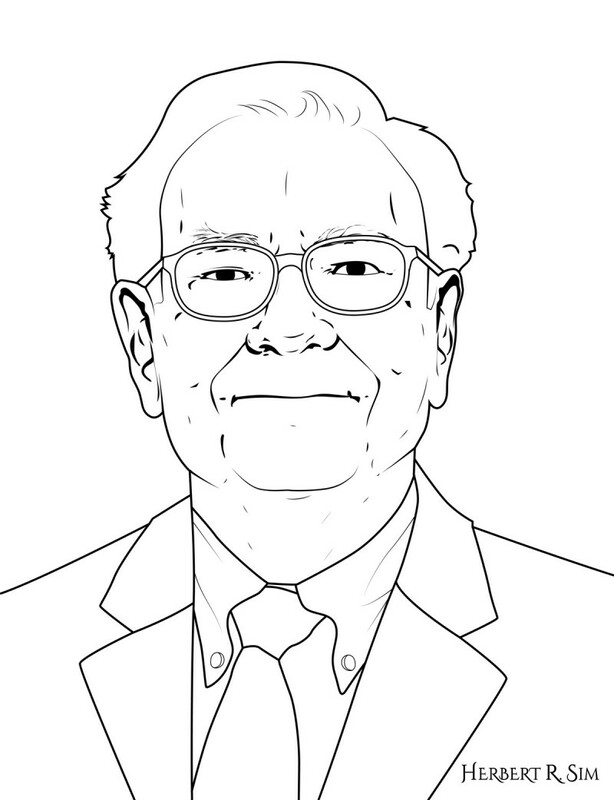 Above is my work-in-progress illustration of Warren Buffett. The inner scorecard is also key in understanding why he is so good at investing: it allows him to think independently and not be influenced by the market; he calculates the value of a business, compares it to its price and makes a rational decision. Take Coca-Cola as an example, one of his most successful investments, the reasons why he bought Coca-Cola are easy to understand and probably other people at the same time had made a similar reasoning; the difference is that many of them might not have listened enough to their inner voice and buy stocks of it with the intensity that Warren Buffett did. Buffett is not a show-off investor and clearly lives within his means and always has. He lives in the same house in Omaha since 1958 and paid $31,000 at the time of purchase. He doesn’t drive the newest or expensive cars nor does he spend very much of luxury items. He is definitely without doubt, an astute investor of our generation. Not many can even come close to his abilities. He reads throughout the day and enjoys his time thinking about what he reads and generates an opinion to do something or just move on to next thing. He can be comfortable with a pile of cash in his hand and do nothing, than invest in a fundamentally wrong company. You can see this happening time and again. All you have to do is to google. When he invests in a company, he is there for a long run. The daily volatility of the stock (which to a surprise of many, he does not consider a measure of risk) does not bother him and force him to sell. There are many lessons in investment which can be learned by the achievements of Berkshire Hathaway headed by Warren Buffett and his business partner Charlie Munger. I always remember Mr. Buffett said that while investing “always keep away your emotions under control”. Above is my final illustration of Warren Buffett. Notice the finer detailing to add age (wisdom) to his facial profile.